This website is designed and developed by Tony Scott on an ongoing basis using the WordPress publishing platform, with further expansion planned for the future. Tony is a freelance web designer and developer – he’s also the co-ordinator of WPUK. Tony’s activities on the internet started before Tim Berners-Lee’s first web server going online in 1991. In 1995 he became involved in the joint BECTU and NUJ project Media Unions along with Mike Holderness and Tony Lennon. 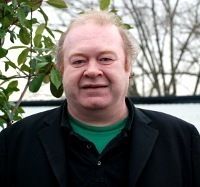 In 1997, in conjunction with Tony Lennon, he built bectu.org.uk, one of the first union sites in the UK. The two Tonys continued to develop the BECTU site and generate content for the following 12 years. From 1993 to 2007 Tony worked at BBC Television Centre as a Lighting and Vision Controller, and before that as a Lighting and Vision Assistant for five years. He contributed to all the shows produced for network television, everything from Top of the Pops to Grandstand. Tony was based at Lime Grove Studios London from 1986 to 1988, then the BBC Current Affairs Production Centre, which included working as part of the camera crews on the early days of breakfast television. Following graduation Tony joined the BBC in 1981, based at Manchester working in studio and outside broadcast cameras. Find out more about Tony on his website and LinkedIn profile.